Gade foto sou nouvèl ki domine atyalite a nan lemond. 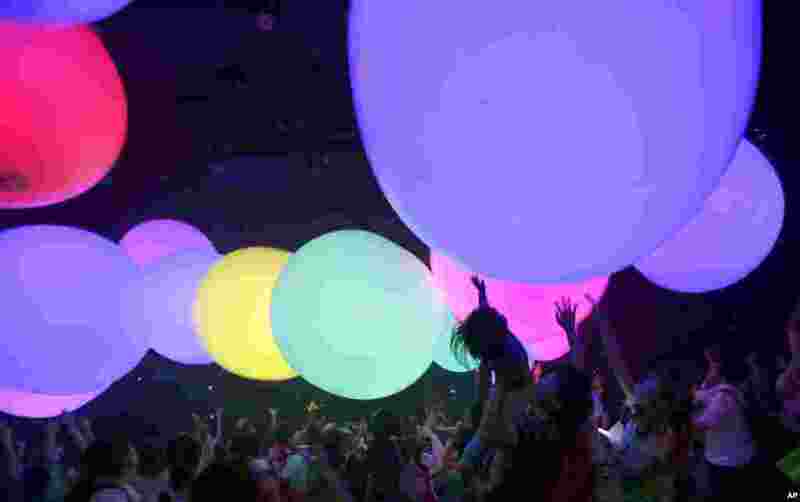 5 Visitors reach out for colorful balloons in light art and interactive music world by teamLab Jungle and Future Park in Tokyo, Japan. 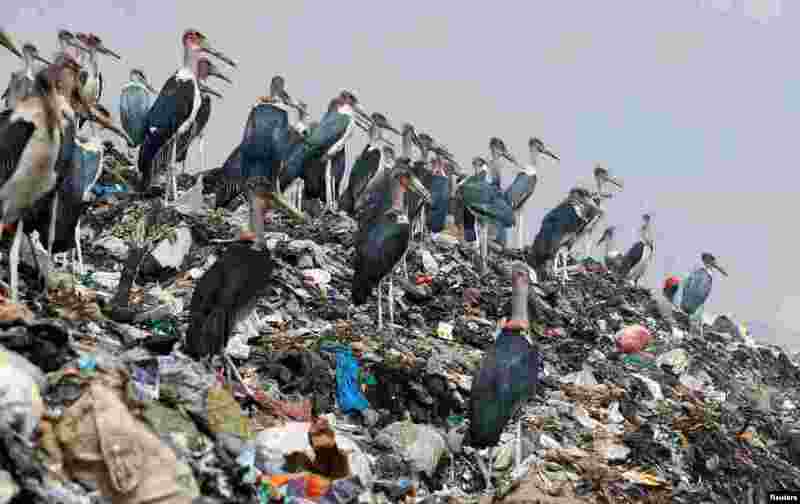 6 Marabou storks stand on a pile of recyclable plastic materials at the Dandora dumping site on the outskirts of Nairobi, Kenya. 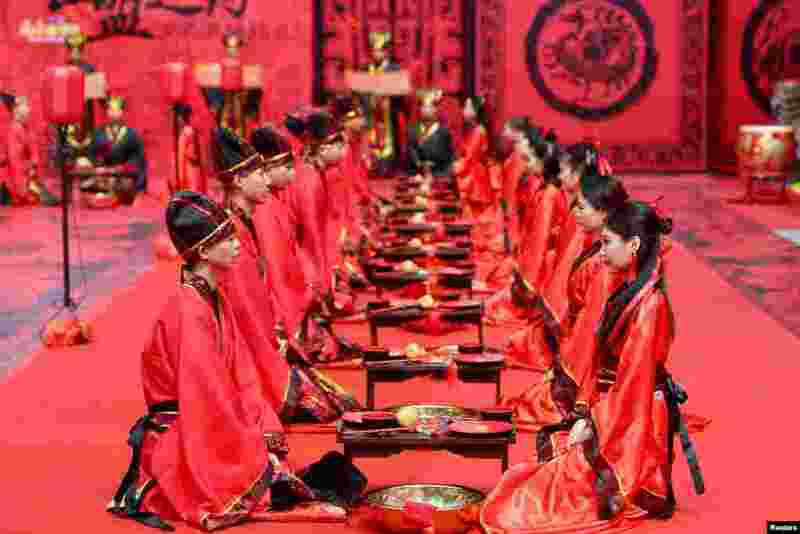 7 Couples attend a group wedding ceremony in traditional Han Dynasty style as they celebrate Qixi festival, or Chinese Valentine's Day, in Hengyang, Hunan province, China. 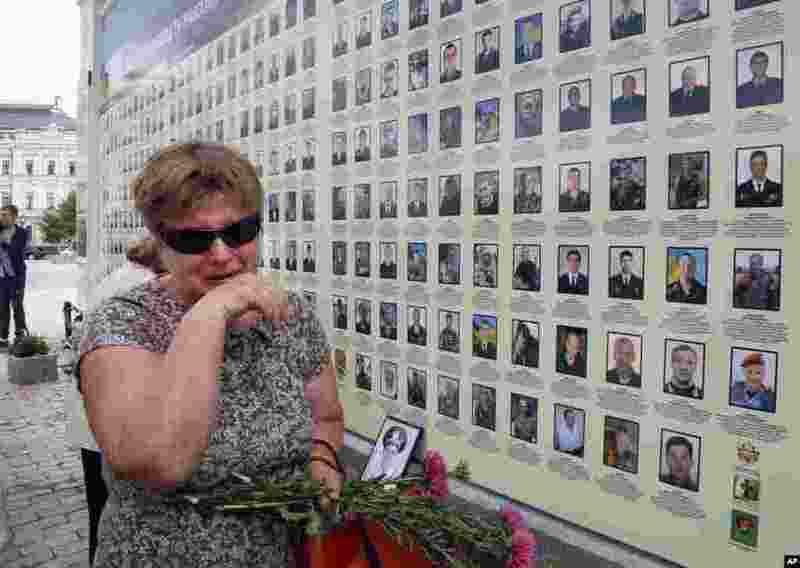 8 A woman cries at a memorial wall with photos of servicemen killed in the conflict with pro-Russian separatists in the country's east, in Kyiv, Ukraine.